Please note that the checkout currency will remain in EUR. If you proceed, you will be advised of the approximate price of each product in your chosen currency. These prices are an advisory only, any order will be charged in EUR. Free Irish and UK Delivery from €50/£50* T&Cs apply. 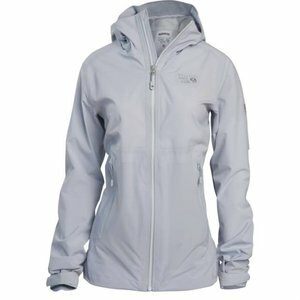 Women's packable, light, super soft rain shell, the stretchiest currently available. Ideal for when you need full range of movement. The hood cinches in around the face and pit zips offer greater ventilation and breathability. store.adventure.ie | a mountain store for adventurous people. We all work and play in the outdoors on events, expeditions, rescues or purely for fun! We understand your needs. Use our chat feature to ask us questions just as you would if you were in store! *t&cs apply. Full shipping policy below. Returns are a pain. We'll do our best to make the process as easy and straightforward as possible. See our policy below. Reputed to be the lightest rain shell with the most stretch of any on the market, Mountain Hardwear's amazingly comfortable women's Stretch Ozonic shell uses Q™ Active waterproof technology to banish moisture. The 4-way, all-over stretch fabrication means there's no limit to usage - whether reaching for a climbing hold, playing golf or running for the bus, this Stretch Ozonic jacket has you covered. 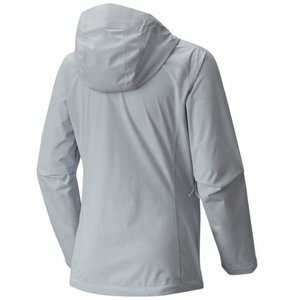 The Stretch Ozonic jacket packs down into its chest pocket. The hood cinches in really well around the face and features Aquaguard zippers.and pit zips for added ventilation. 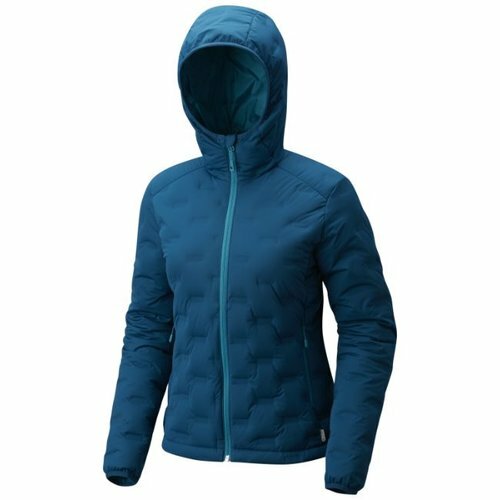 Designed to layer with Mountain Hardwear's Stretch Down jacket - it is incredible how much comfort, stretch and movement you have when wearing these as your outer layers. This Stretch Ozonic jacket is a true to size fit, designed to be used as an outer layer. 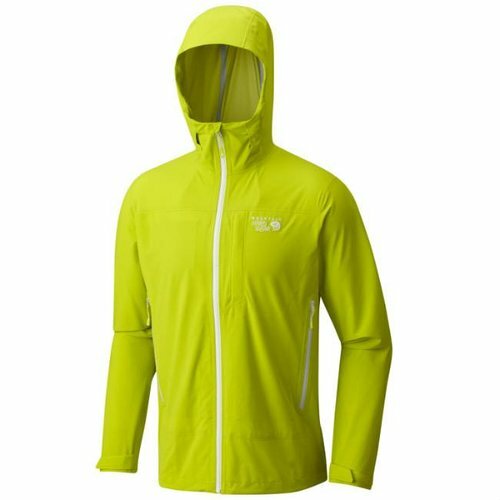 If you intend using it as a running jacket only (over only one base layer), you may need a smaller size. Incredibly stylish, soft and stretchy. Mountain Hardwear's hooded DS, 800 fill, StretchDown™ jacket uses ethically sourced down. Offset, welded baffles mean more warmth is trapped and the hydrophobic feathers are prevented from escaping. Packable, light and comfortably soft rain shell, the stretchiest currently available. Ideal for when you need full range of movement. Hood cinches in around the face and pit zips offer greater ventilation and breathability. 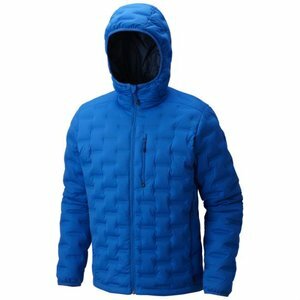 Incredibly stretchy and comfortable down jacket offering full range of movement. Mountain Hardwear's hooded DS, 800 fill, StretchDown™ jacket uses ethically sourced hydrophobic down in striking offset, welded baffles. GORE-TEX® lightweight rain shell from Marmot featuring everything you need in a shell and nothing you don't. Available in multiple colour options, this affordable waterproof and breathable 2.5-layer shell jacket for women offers protection for hiking activities in the mountains. 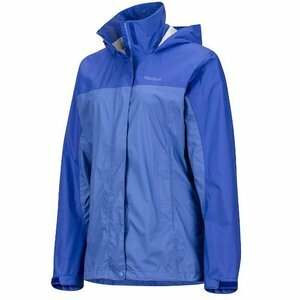 Marmot Precip Jacket provides high performance at a great price. Outstanding weather protection & features: pit zips, adjustable hood, stuff pocket & more.